By Baptism we become members of the Church. We are welcomed and claimed for Christ. We are appointed to a People characterised by Worship, Truth and Service. You will be asked to complete an ‘Appointment for Baptism’ form and attend some preparation. 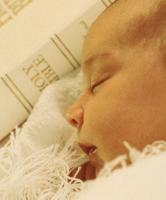 Godparents must be carefully chosen. It is usual to have a Godmother and a Godfather and they themselves should be practicing Catholics. In marriage a man and a woman pledge themselves to one another in an unbreakable alliance of total mutual self-giving - a total union of love. It is a love that is not a passing emotion or temporary infatuation, but a responsible and free decision to bind oneself completely, "in good times and in bad," to one's partner. It is the unconditional gift of oneself to the other, proclaimed before the eyes of the whole world. It is the pathway to holiness for all members of a family. 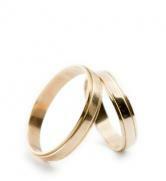 To arrange a Marriage at St Gregory’s, it is necessary to contact the Parish Office at least six months in advance of the proposed date for the Wedding. The Sacrament of the Sick is for times of serious illness – it is not the sacrament of the dying. The sacrament of the Sick is for strength, comfort and consolation, for peace and healing, and for the forgiveness of sin. As well as being intended for times of serious illness, it is appropriate that the Sacrament be given to someone before they go into hospital for major surgery, and when a person has become frail under the burden of the years. It is a Sacrament to be repeated throughout a time of illness. To receive the Sacrament of the Sick at home you should contact the Parish Office as soon as a person begins to be seriously ill or before they are due to enter hospital. To receive the Sacrament in hospital it is necessary to ask the staff on the ward to call the hospital chaplain. us for Worship, Truth and Service. Confirmation is generally celebrated during the Visitation of the Parish by Bishop Michael every two to three years, though Confirmation is possible at other times. Confirmation will be celebrated on Sunday 20th June 2010 at our 10.00am Mass. Children and young people who wish to be confirmed need to be in Year 6 of Primary School or older. Anyone who wishes to be confirmed in June 2010 must speak with Fr Ted or Deacon Jim as soon as possible. 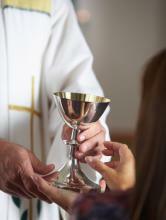 The Eucharist is the very heart of Catholic life and celebration. The Eucharistic Community gathers on Sundays especially, the day of Resurrection, to celebrate the Eucharist, the Mass, the Mystery of God’s love in the Passion, Death and Resurrection of Jesus. Parents who wish their children to make their First Communion are invited to contact the Parish Office in September each year. Generally, children should be in at least Year 3 of Primary School and should be attending Sunday Mass regularly with the family – with one or both parents. In this consoling sacrament – of which Confession is a part – we are led individually to Christ, and through the Church's ministry, Christ himself gives forgiveness, strength and mercy. The Sacrament of Reconciliation – Individual Confession - is available each Saturday at 6pm and at any time by appointment with the Parish Priest. The Community celebrates a Liturgy of Reconciliation with individual absolution each Advent and Lent.